Imagine a sunny little spot in the mountains at the bottom of a valley, with a large stone amphitheatre including three pools of sulphur hot water in the open. You are in St Thomas les Bains, part of the little “commune” of Fontpédrouse in a “département” called Eastern Pyrenees. 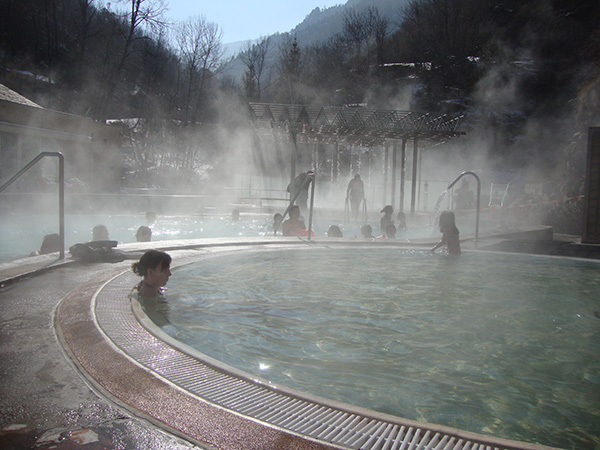 This place is at an altitude of 1150 m; there is a fantastic hot spring at a temperature of 58° C and its benefits have been known for a very long time. 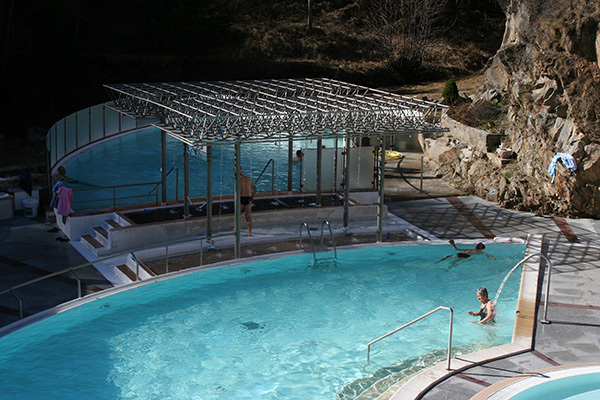 Three outside pools at a temperature of about 37°C have been built there ; they are equipped with Jacuzzis, massaging jets and two series of natural sulphur showers with a regulated temperature. The inner area will offer you three oriental rooms with progressive temperatures diffusing steam with essential oils of eucalyptus and equipped with concealed lighting in chromotherapy (fibre optics), a showers cold basin and you will also discover two Jacuzzis, a relaxation area, three rooms for beauty care and massages, as well as a tea room. 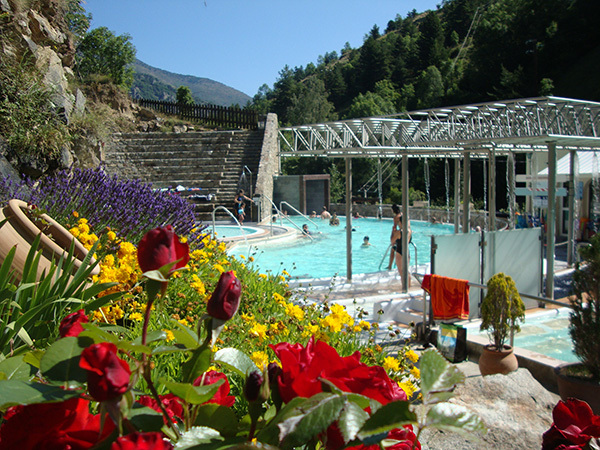 The thermal water of Saint-Thomas is rated among the hottest of the Pyrenean type (58°C); It contains sulphur, bicarbonate, fluorine, silica and a lot of trace elements. Its thermal plankton makes it light and soft for the skin. This exceptional natural water has analgesic, antiallergic and healing effects. The temperature varies according to atmospheric conditions : from 34° to 38°C. The maximum depth is 1 m 20.